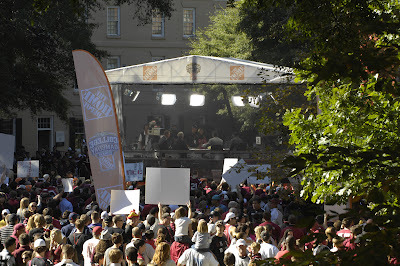 You&apos;ve heard it by now -- ESPN College GameDay is headed to Columbia, SC and ESPNU has arrived in town! If there&apos;s any better way to kick off the weekend than a streetfest and parade, we don&apos;t know. Make your way back to Main Street for First Thursday on Main from 6:00 pm - 9:00 pm. If you haven&apos;t seen Main Street when it&apos;s at it&apos;s peak, you&apos;ll want to hit this monthly art crawl and streetfest. Celebrate the Nickelodeon&apos;s new location with a parade down main! The parade will begin at 7:00 pm, starting at Main and Lady streets and continuing towards the South Carolina State House for music and drinks at the Whig. Also at First Thursday: more information about the upcoming Jam Room Music Festival, special halloween flavors from Paradise Ice, a car cruise-in (including local food trucks! ), live music at Mast General Store, and art galore at Tapp&apos;s Art Center and Frame of Mind. 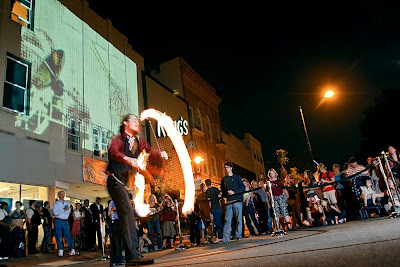 Hey, the Free Times has even dubbed this event a "street party" - what&apos;s not to love? On Friday, head to the West Columbia Riverwalk for the free Rhythm on the River concert series, featuring The Reggie Sullivan Band. Free Admission.6:00 pm - 9:00 pm. On Friday and Saturday, the Columbia Museum of Art hosts COLA-CON: HIP HOP. COMICS. CULTURE. Cola-Con is a comic convention meets music festival featuring performances by Ghostface Killah (Wutang Clan, anyone?) and Phife from A Tribe Called Quest. You won&apos;t find a similar event in the southeast. Tickets are available in one-day or two-day passes, view event info for more information. It&apos;s the day you&apos;ve all been waiting for! Meet us on the historical USC Horseshoe bright & early for ESPN&apos;s College Gameday as they cover the University of South Carolina Gamecocks v. University of Georgia Bulldogs football game. GameDay airs at 9:00 am, so get there before the Gamecock crows for a prime spot on the front row. 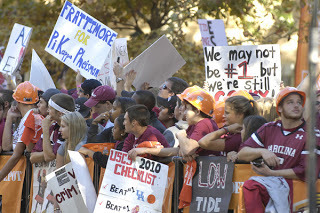 Read our College Gameday blog for more information. Sure, you may have to leave your first-class tailgate for a bit, but meet on the Garnet Way at 5:00 pm for a free game day event featuring American country music and Grammy nominated artist, Billy Currington, at the Lowe&apos;s Tailgate. The event is scheduled to begin at 5:00 pm and will be held outside of Williams-Brice Stadium on the Garnet Way. It&apos;s the reason we&apos;re pumped for College GameDay. Whether watching from a restaurant or sports bar, your tailgate or Willliams-Brice, cheer loud as the No. 6 Gamecocks take on the No. 5 Georgia Bulldogs at Williams-Brice. Catch a performance by the South Carolina Shakespeare company at Saluda Shoals Park as they put on Jane Austen&apos;s Pride & Prejudice. Or, check out the Village Square Theatre for a hilarious and entertaining tribute to some of the classic broadway legends, Forbidden Broadway - a satirical spin on some of our beloved theater stars. The University of South Carolina Theatre & Dance department is performing the Importance of Being Earnest at Drayton Hall Theatre Friday, Saturday and Sunday. View the individual events&apos; info for more information. This is a weekend of famously hot deals to our biggest museums. On Saturday and Sunday, Bank of America cardholders enjoy the "Museums On Us" Free Weekend at EdVenture Children&apos;s Museum. 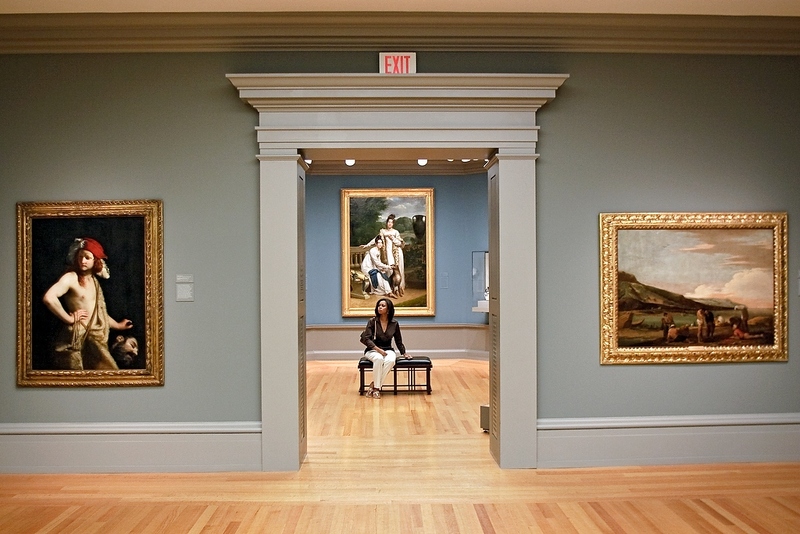 The first Sunday of every month, enjoy $1 admission to the South Carolina State Museum. 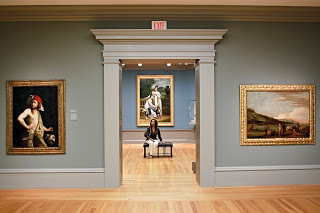 Thanks to Blue Cross Blue Shield of South Carolina, all Sundays are free at the Columbia Museum of Art. Looking for more? 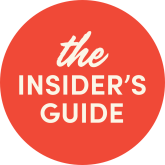 Get the full list of weekend events on our calendar. Check the University of South Carolina&apos;s Forever to Thee College GameDay Weekend in Columbia, SC blog for more events on and off campus. Drop us a line on Facebook or Twitter with questions or if you&apos;re looking for suggestions, or stop by our Visitors Center for more information.